WP Buffs’ goal is to be the very best technical support partner for any individual, business or organization with a WordPress website. The company handles everything WordPress-related for their customers which allows them to make bold decisions when it comes to their websites without hesitating due to technical restraints. WP Buffs is 7 employees strong, all of whom are 100% remote and are distributed around the world. Because the team handles security for the customers, they have somebody available 24/7 in case of an emergency. 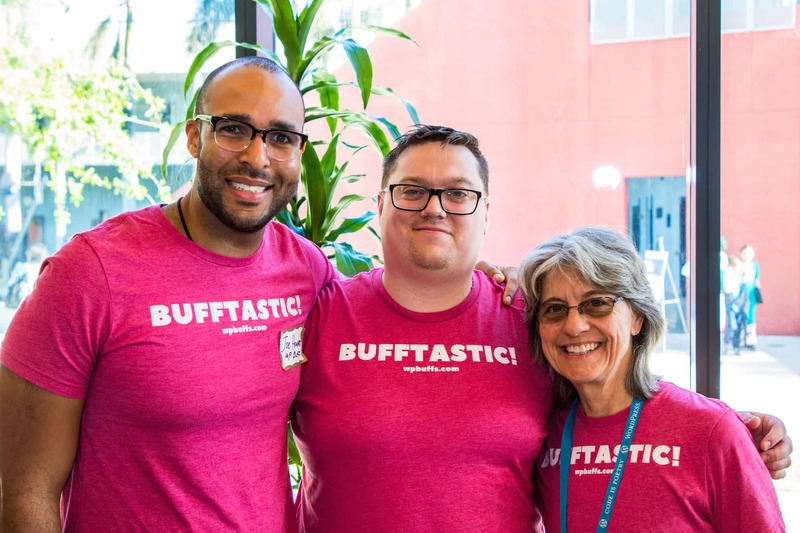 The core team works from the US (Washington DC and Rochester, NY), but they also have some digital nomads who work for WP Buffs from around the world. The first startup Joe ever got involved with was a very early-stage SEO agency. He was brought on as the Director of Operations. The title sounds impressive, but when you’re the first employee of the company, it really just means you do some of everything, says Joe. They ran digital marketing campaigns for clients across a range of different industries. But it turns out along with digital marketing services, people wanted new websites too! Then, the guys decided to meet that demand and use WordPress as their Content Management System of choice. The reasons were pretty straight-forward: It was simple enough for non-technical people (like them at the time) to host, launch and build websites and the open-source component meant a vibrant community to get help when they got stuck. 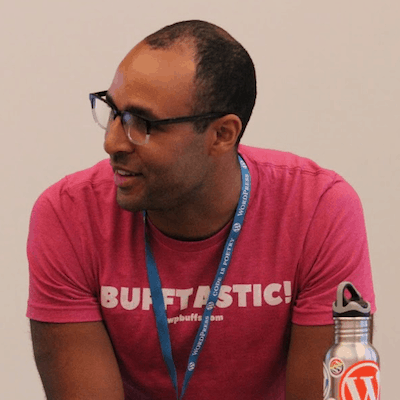 So, Joe put together wpbuffs.com one weekend while he was still working full-time as an IT consulting. About 6 months ago, Joe went full-time on WP Buffs and he hasn’t looked back since! He started this company over a year ago and since then, Joe says it’s become a bit of an obsession. You can ask his wife, Joe added; sometimes he’ll just have to answer that last support ticket before bed or get some work done on a Saturday night because he’s so invested in the success of the company. At this point, Joe is a bit more of a manager than in the day-to-day operations. He’s got a brilliant team working around him so Joe can focus most of his time on helping the company market itself and gain visibility and give the team the resources they need to do their jobs even better. Matt Mullenweg once said when hiring somebody, always make it a person who you could see yourself working for in another situation. That’s what he did with Nick and it’s turned out to be one of the best decisions he’s made for the business to date. Services: Daily cloud backups, 24/7 uptime monitoring, unlimited website edits, updates, security, speed improvements, etc. This is a great question! The same question applies when asking which hosting company should I choose? Some people prefer a concierge service like Anchor Hosting while others opt for a less expensive but comprehensive solution like SiteGround. It’s hard to have a definitive answer with so many options out there. We offer 24/7 support. Because I built the business around a 100% remote work environment, we have staff working from here in the US and across the globe. We give our customers access to premium plugins. Anybody who works with us gets access to iThemes Security Pro (a $297 value), WP Smush Pro (a $600 value) and much more. This is pretty terrific value considering the overall prices of our care plans. When you work with WP Buffs, a significant part of your payment goes towards helping us donate time to causes we all care about. For example, a significant part of our revenue goes towards the 100% free development time and care plan we donate to herresiliencycenter.org. HER Resiliency Center is a non-profit organization that helps vulnerable young women ages 18 to 25 with the support, skills, and resources they need to make positive decisions and thrive. Through mentoring, workshops, and the support of dedicated and highly trained staff, HER gives young women a path to independence and a different life. We let our customers speak for themselves. Most of the other maintenance companies out there have significant blemishes to their record. Since I started WP Buffs, our team’s highest priority has always been to make customers happy. We have a white-label partnership program. WP Buffs partners with design agencies, marketing firms and freelancers by offering a simple and effective white-label solution. If you have clients or customers who need ongoing website edits, performance enhancements, additional security or any kind of regular maintenance, we’ll step in as your background technical partner. Look us up online before you commit! It’s easy to do background research on a company before you move forward with them. Be sure to search for us on Google to make sure we’re a good fit for you and your website(s); I think you’ be pleasantly surprised! Also, please read our FAQs! Most of the questions people ask us before getting started with a care plan are answered there in detail. We’ve had a TON of difficult WordPress issues we’ve had to solve for our customers. Most of the biggest headaches come from new customers looking for help with their website that’s been hacked or injected with malware. These issues can be really difficult to fix, especially when you have a self-replicating malware issues. Yikes! But in all honesty, our team loves to work on the most difficult WordPress problems out there. It helps us all learn how to address them faster and more effectively in the future and force us to become better at taking care of our customers’ websites. If you could recommend a theme to your clients, what theme would that be? I don’t think I could suggest a single theme here! It really depends on what kind of design you’re looking for as well as functionality you’d like to incorporate to achieve your new website’s goals. But, we do have a few theme shops that we partner with. They all produce really high-quality templates and I think going with any of them would be a win for anybody reading this. First of all, we set expectations with our clients very early about how to interact with us. They understand that being polite will be helpful for them and that rude clients simply won’t be tolerated. When people sign up for one of our care plans, we sent them a series of introductory emails detailing everything they need to maximize working with us. Here’s a snippet from one of our onboarding emails. If we need to take drastic measures, I’m good friends with a few other owners and founders of WordPress maintenance companies! If we have a customer who doesn’t work well with our team, we’ll happily help them transition to another company. Of course, I’ll give that company all the background on the difficult client and the option of whether or not to accept them, but there just may be another maintenance company out there that’s a better fit. We partner with ManageWP to help scale our website maintenance services. Feel free to check out our case study with them and see how they’ve increased our internal systems and efficiency. Stunning: Adds account management for payment information and subscriptions for customers as well as automated emails to reset credit card details when payments don’t go through). Teamwork – we use this SaaS solution for project management, our help desk and internal team chat. It’s our all-in-one shop for operations and systems and helps us be a well-oiled machine. And if you need a well-designed and ridiculously easy-to-install under construction page, these are definitely our go-to. Is there a hosting company that you don’t work with, ie if a client has a site with them you won’t work with that client? Is there maybe a hosting company you recommend on a regular basis? We’ll work with anybody regardless of their hosting provider. We understand that different websites have different needs and that people have realistic budgets that they have to meet. 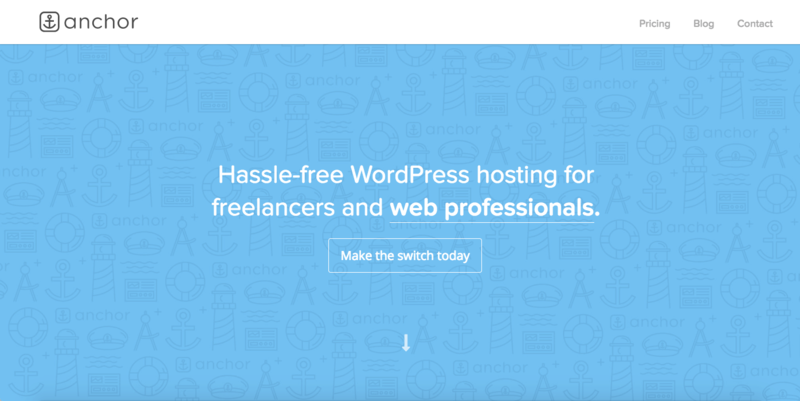 We do offer our customers a free migration to our fully managed WordPress hosting for anybody who wants a no-worry, hands off hosting solution. We can’t always improve website speed for our customers who need it when they’re running on a very slow shared server, so in that case we might recommend an upgrade. Starting at $40 a month ($20 for your first month), our plans are for serious website owners and a bit more expensive than shared servers that limit your resources and sacrifice both speed and security. But when it comes to hosting, you get what you pay for, so most of the time it’s simply worth opting for premium hosting. Many WordPress experts say that having too many plugins isn’t good for a site. In your opinion, how many plugins is too many? There isn’t a specific number of plugins that would be “too many” here. If you have 100 plugins on your website, they’re all kept updated and secured, and your website is loading fully in under 1 second, there’s no problem. But if you have 10 plugins, 3 are out of date and creating vulnerabilities, you can’t keep them all updated and they’re slowing down your website, that’s a big problem! This is one of the reasons I started WP Buffs. Nobody should be limited by the number of plugins on their website. They should be able to add whatever will help them grow (within reason) and have it kept fast and secure by a team that truly cares. 85% of our traffic, sales leads and new customers come in organically through Google searches. I lead the charge on marketing and our biggest focus is creating really high-value content on our blog. We optimize every article so it ranks well in search engines, and when people find it, many sign up for our email list or ask us to email them free resources. Once they learn about our company and what we do, many sign up for their own care plans. Once they understand they can invest in a support plan and spend their time worrying about bigger issues, it’s a no-brainer! Do you think the industry and your business will still be operational in about 2 years? To be honest, the sky’s the limit. At this point, we know the WordPress maintenance space pretty well and are already outperforming many other maintenance companies out there. 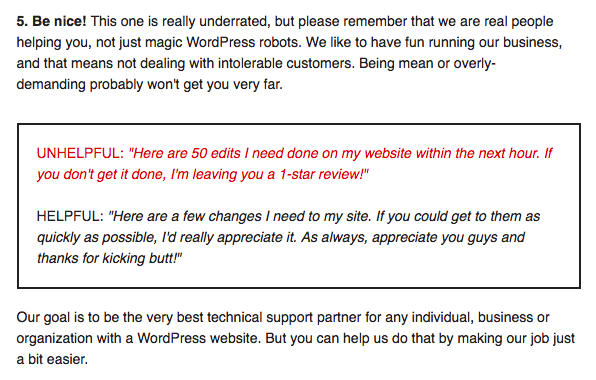 So I think in two years we’ll not only still be around, but the go-to provider for ongoing WordPress support. At least, I hope so! Published on October 2, 2017 by Ivan; modified on March 26, 2018. Filed under: Interview, WordPress. Great interview. Thanks Joe for doing this.